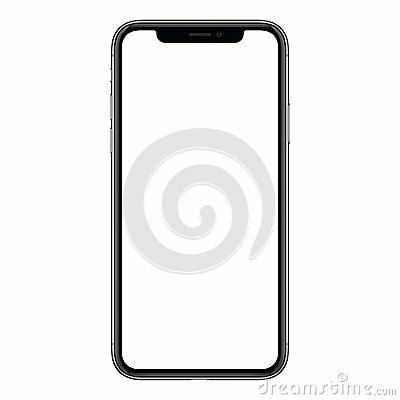 iPhone X. Smartphone mockup. New modern black frameless smartphone mockup with blank white screen. Isolated on white background. Based on high-quality studio shot. Smartphone frameless design concept.